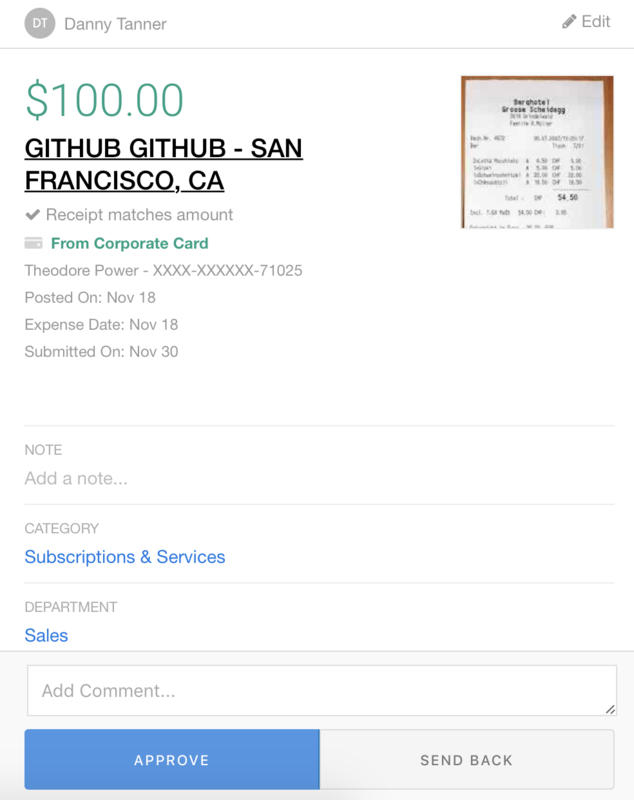 To approve an expense, click on the expense in your feed, and simply click the blue "Approve" button. Use filters to create custom reports and bulk approve! Abacus has powerful filtering tools that allow you to drill down to certain group of expenses. Learn how to create custom reports and bulk approve here. Can I deny corporate card expenses? We don't give you the option to deny corporate card expenses. Since the money has already been spent on the company's card, it's too late to deny the expense. 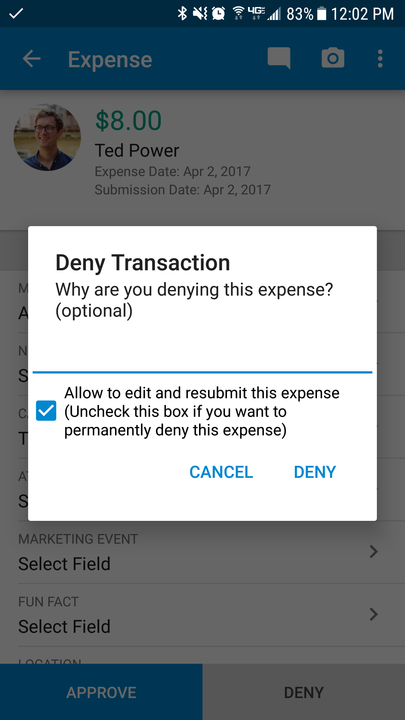 However, if the expense needs more information, you can click the "send back" button, which will allow you to comment on the expense, and send it back to the employee who can edit it and resubmit it. 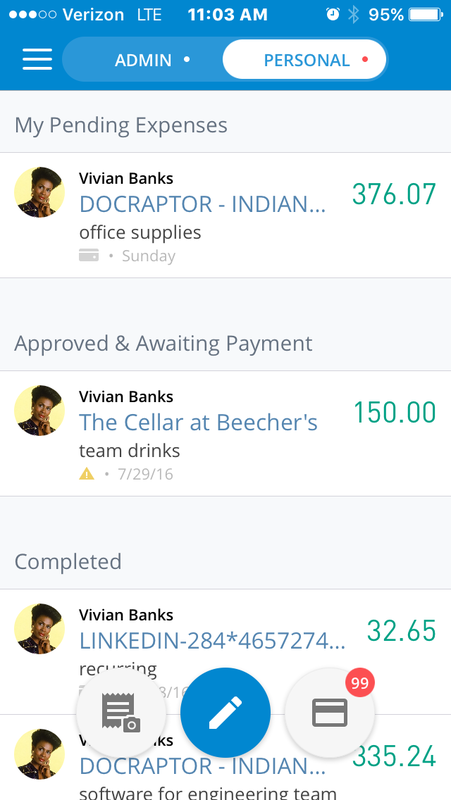 Your expense feed in the mobile app will include the same three sections: Pending Expenses, Approved & Awaiting Payment, and Completed expenses. 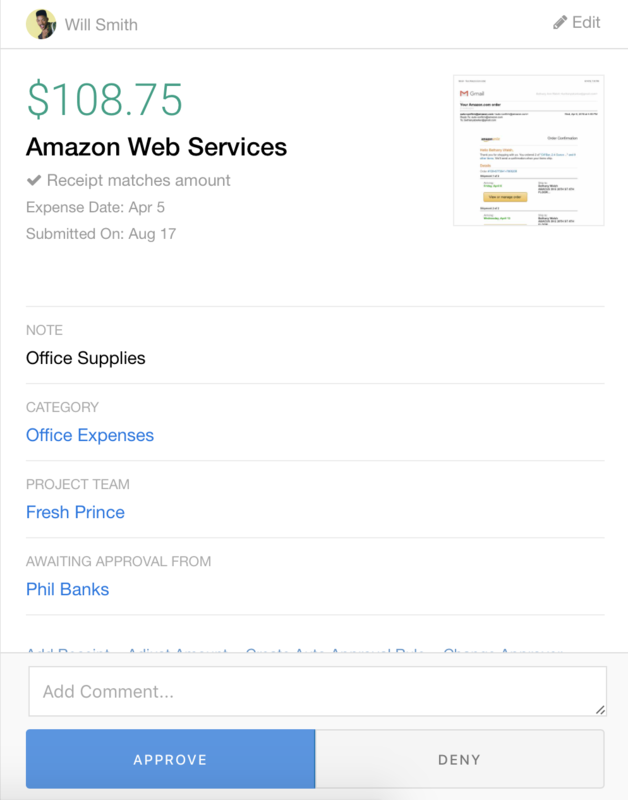 Toggle between Admin and Personal tabs in your app to view your team's expenses and your own expenses. Swipe left to approve multiple expenses at once. 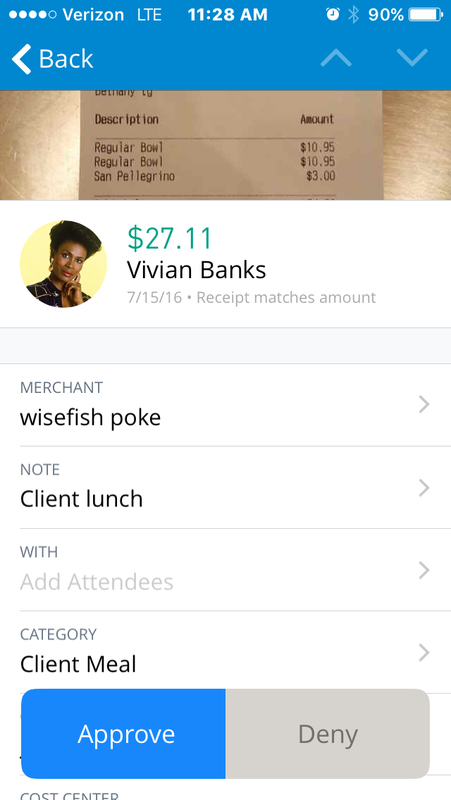 Or, approve expenses individually by clicking into the expense, viewing the details and hitting the Approve button. 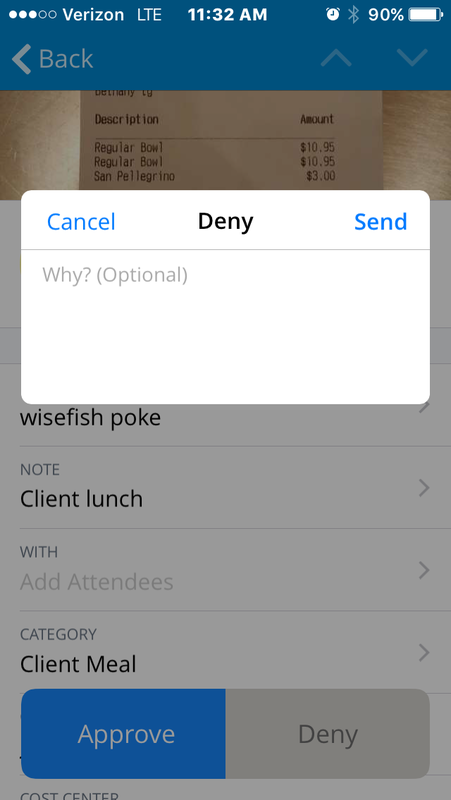 To deny an expense, hit Deny, and add an optional note. The employee will receive an email letting them know why their expense was denied. 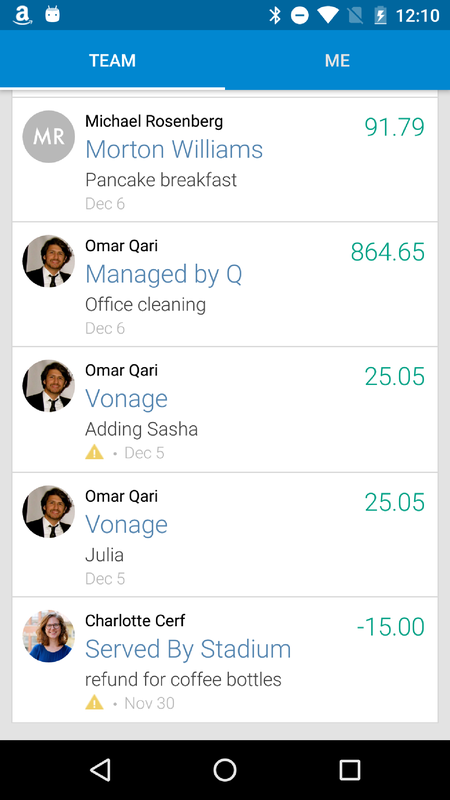 Toggle between your Team and Me tabs in your app to view your team's expenses and your own. 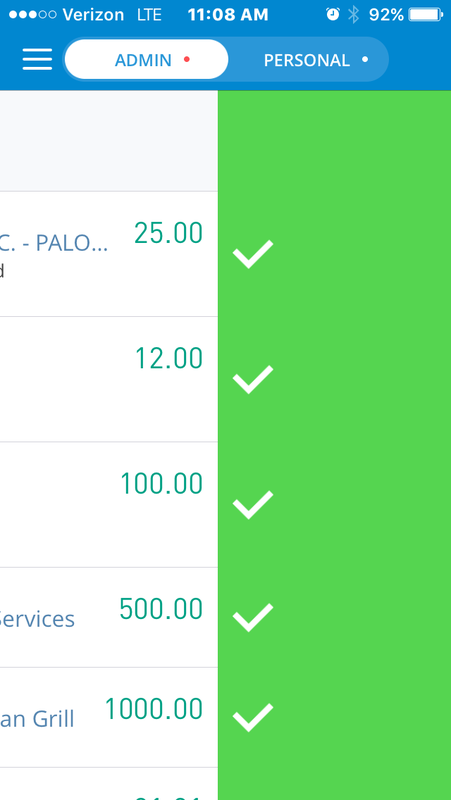 To approve multiple expense at once, click the double check mark icon in the top right. 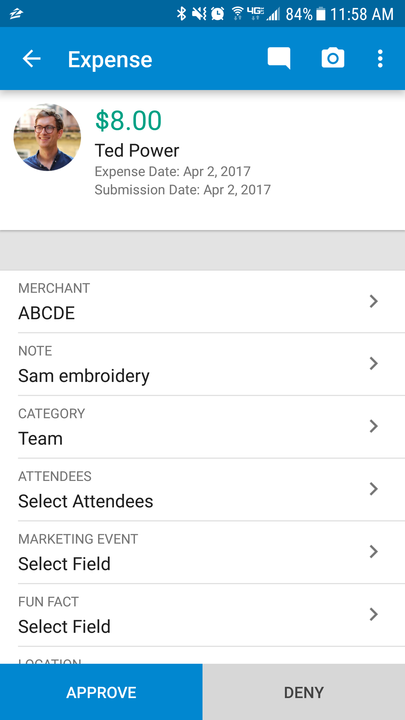 To approve an individual expense, click into the expense detail, and click Approve. For faster approvals, you can search, filter, and select all for bulk approval. Learn how to use the Search and Filter feature here.